2 General Properties of Gases There is a lot of “free” space in a gas. Gases can be expanded infinitely. Gases fill containers uniformly and completely. Gases diffuse and mix rapidly. 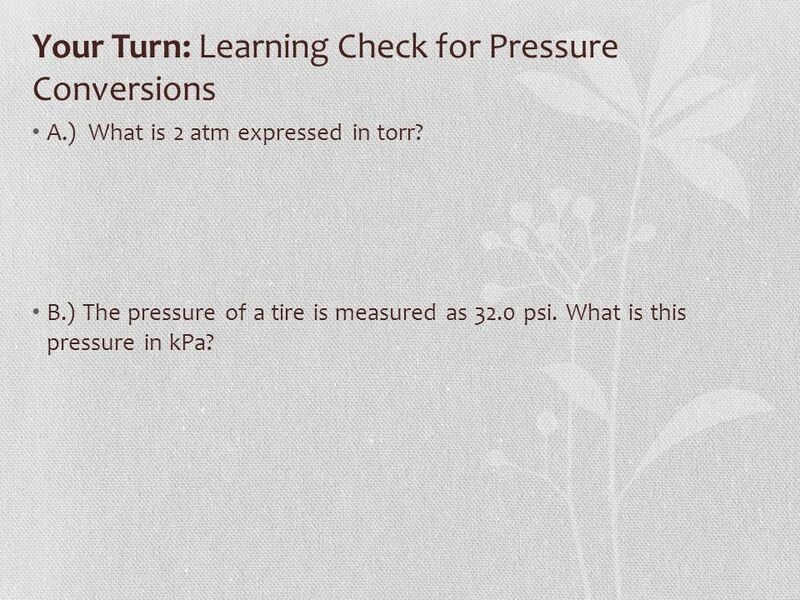 6 Your Turn: Learning Check for Pressure Conversions A.) What is 2 atm expressed in torr? B.) The pressure of a tire is measured as 32.0 psi. What is this pressure in kPa? 11 Combined Gas Law Problem A sample of helium gas has a volume of 0.180 L, a pressure of 0.800 atm and a temperature of 29°C. What is the new temperature(°C) of the gas at a volume of 90.0 mL and a pressure of 3.20 atm? 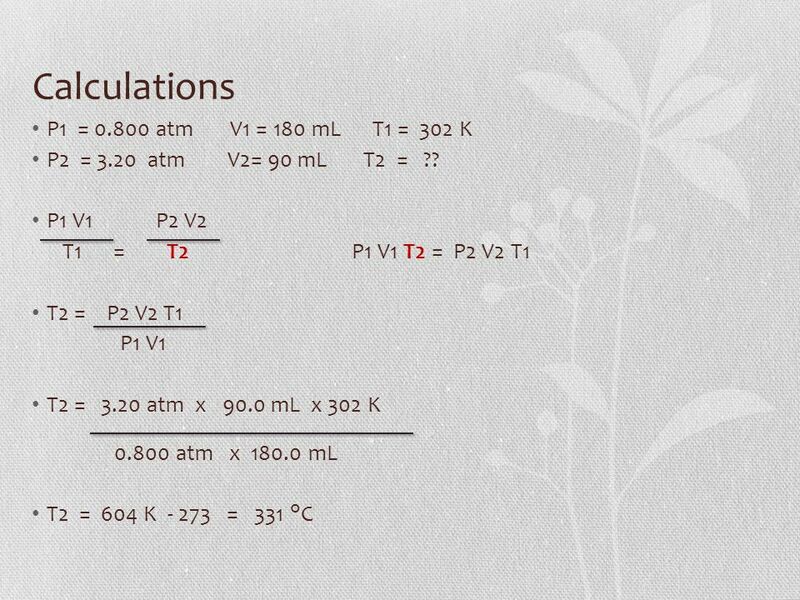 Set up Data Table P1 = 0.800 atm V1 = 180 mL T1 = 302 K P2 = 3.20 atm V2= 90 mL T2 = ?? 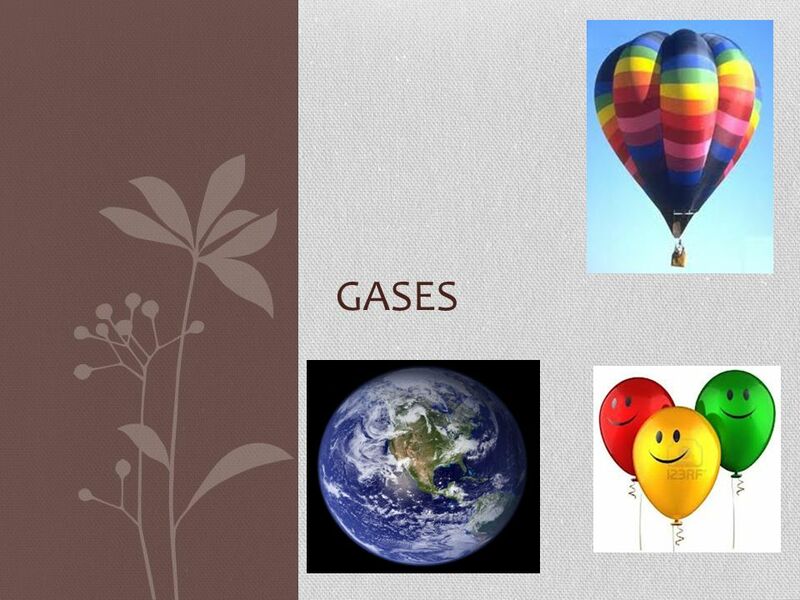 Download ppt "GASES. 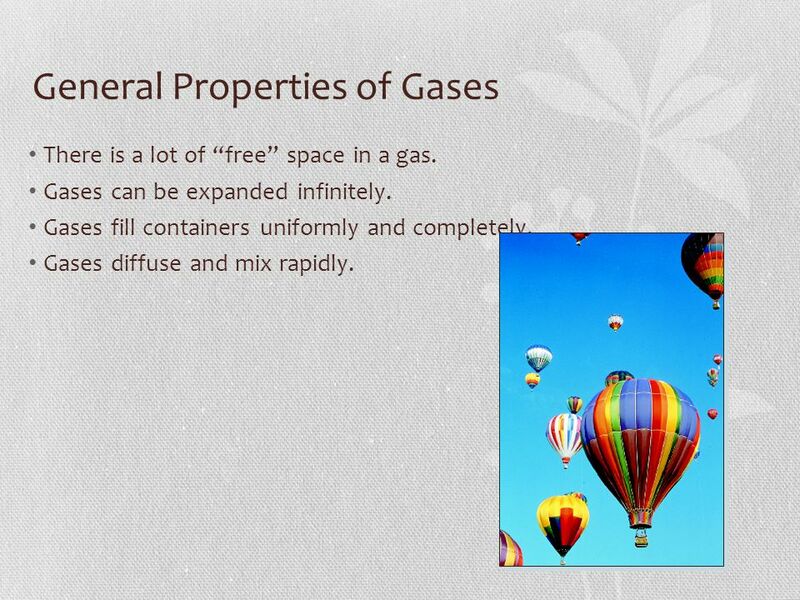 General Properties of Gases There is a lot of “free” space in a gas. Gases can be expanded infinitely. Gases fill containers uniformly and completely." Gas Variables. Pressure 1. Caused by collisions between molecules and the walls of container. 2. Force per unit area; changing force of collisions or. GASES Chemistry Properties of Gases Characteristics of Gases Fill their containers completely Have mass Can be compressed Exert pressure Mix rapidly. 1 Gases Chapter 5 Copyright © The McGraw-Hill Companies, Inc. Permission required for reproduction or display. How can we calculate Pressure, Volume and Temperature of our airbag? 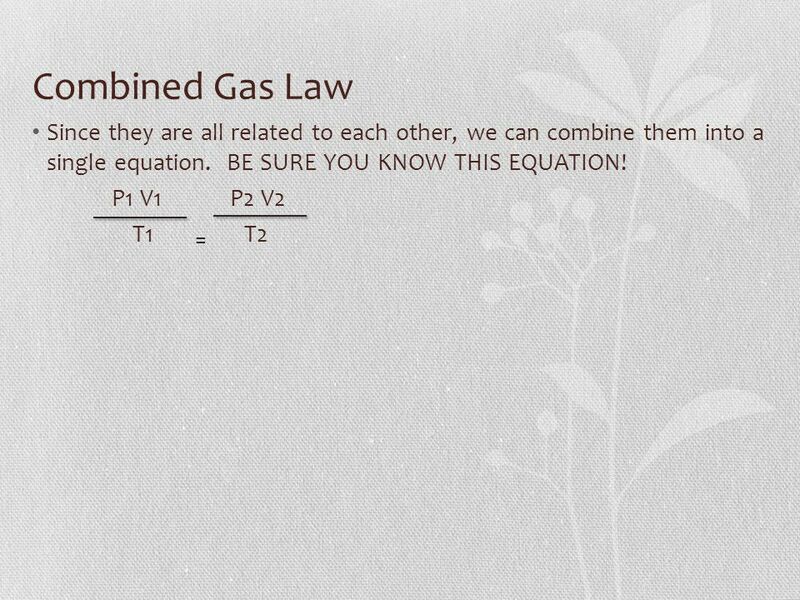 1 Chapter 6 Gases 6.6 The Combined Gas Law. 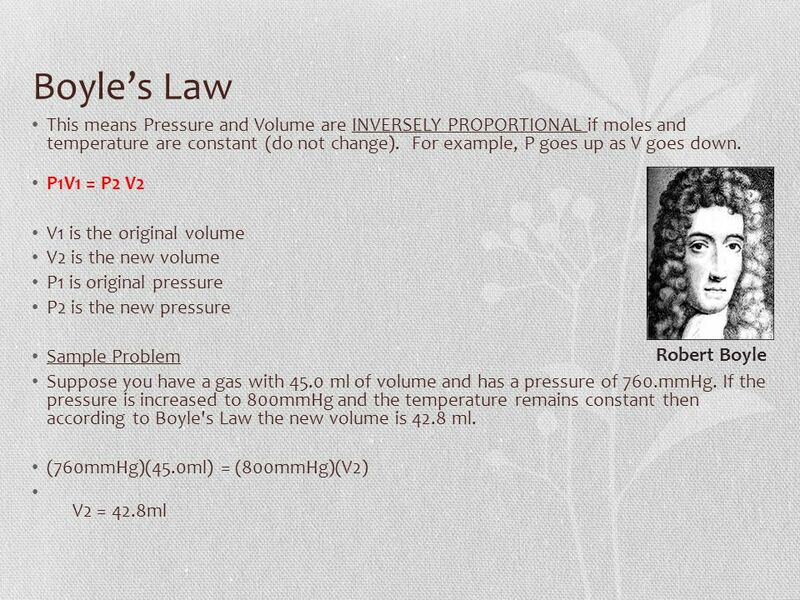 2 The combined gas law uses Boyle’s Law, Charles’ Law, and Gay-Lussac’s Law (n is constant). P 1 V 1 =P 2. 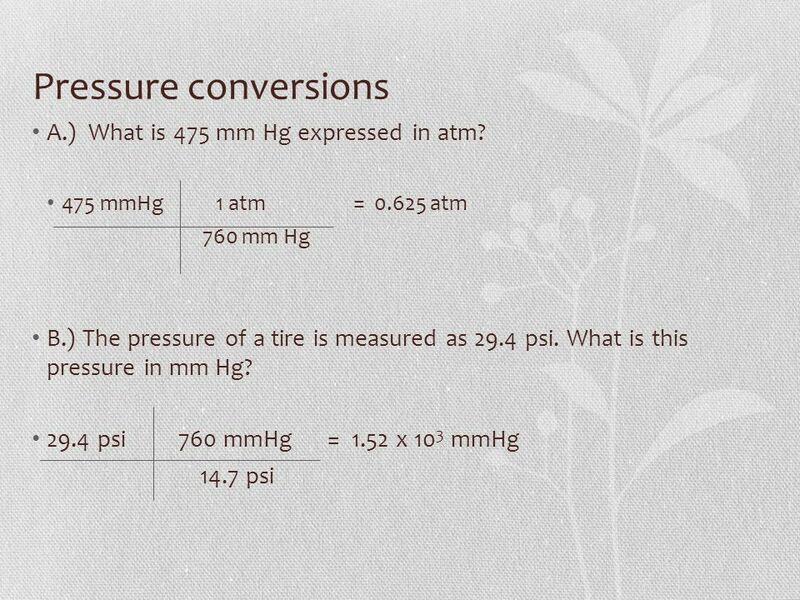 1 Pressure Pressure: Force applied per unit area. Barometer: A device that measures atmospheric pressure. Manometer: A device for measuring the pressure. Chemistry An Introduction to General, Organic, and Biological Chemistry, Eleventh Edition Copyright © 2012 by Pearson Education, Inc. Chapter 6 Gases 6.6. 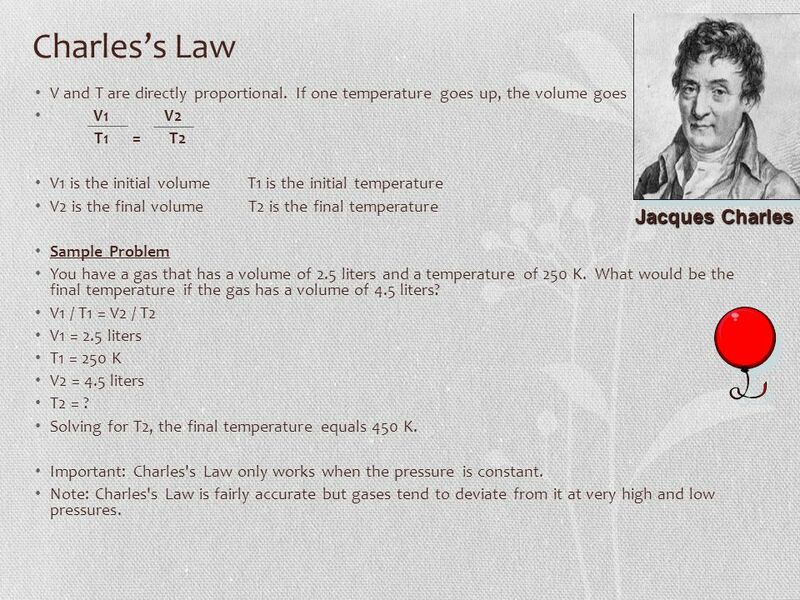 Gas Laws. Properties of Gases b Expand to completely fill their container b Take the shape of their container b Low density – mass divided by volume. Mark S. Cracolice Edward I. Peters Mark S. Cracolice The University of Montana Chapter 4 Introduction to Gases. Chapter 13: Gases. What Are Gases? Gases have mass Gases have mass. 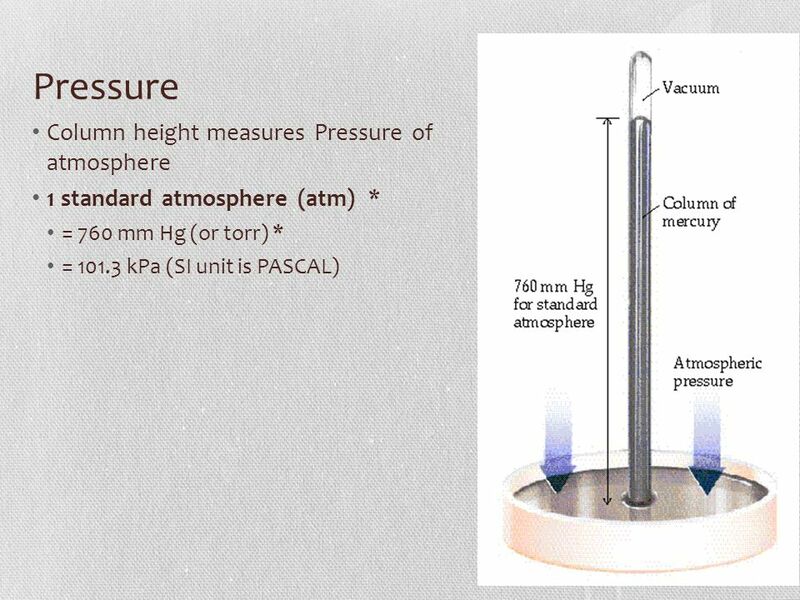 Section 13.1 Describing the Properties of Gases 1.To learn about atmospheric pressure and how barometers work 2.To learn the units of pressure 3.To understand. Not so long ago, in a chemistry lab far far away… May the FORCE/area be with you. Chapter 12: The Behavior of Gases. Think of Chem 1A…. 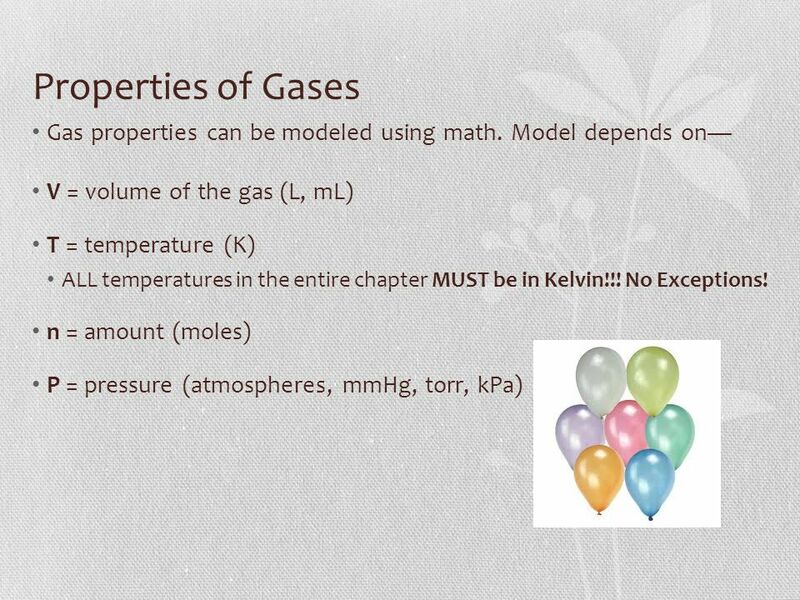 Mrs. Richards, Mr. Mazurek, Ms. Knick, Ms. Olin….. What do you remember about gases???? 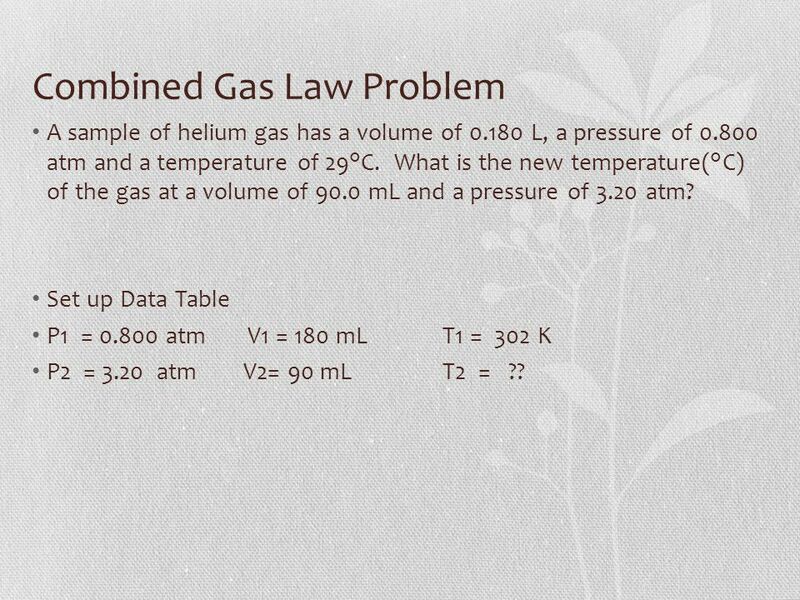 Gas Laws Practice Problems Work out each problem, showing all work in the 3-step format. 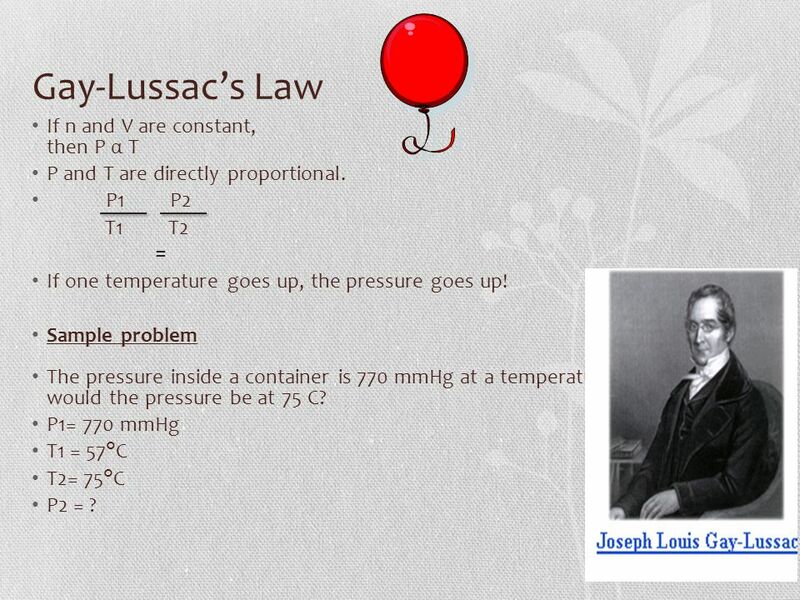 Gases notes #2 - gas laws practice.ppt.